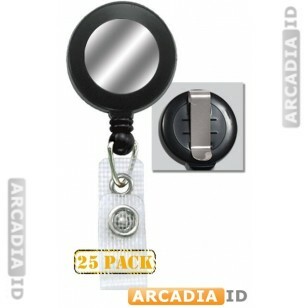 This listing is for packs of 25 black and silver belt clip badge reels. These attach easily to clothing and offer easy access to ID cards. Reinforced for extra strength. For more kinds of belt clip in varying quantities, take a look around the site!